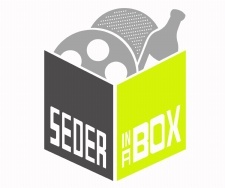 Chabad of the Central Cascades will be providing "Seders in a Box" for families who are in need in the Eastside Area. Before the holiday, volunteers will help cook meals, prepare boxes with everything necessary to run a seder, and deliver them to families who are part of the program. Despite the fact that Passover is one of the most observed holidays on the Jewish calendar, there are many families in our area who do not have the means and/or knowledge to celebrate the Holiday. Chabad of the Central Cascades holds two community seders, but some families (particularly older or families with disabilities) cannot attend. For others, a community seder is too intimidating for someone who has never observed the holiday before. For both groups, the seder must come to them. Chabad of the Central Cascades has informally assisted a few families for many years. One example is an older man and woman who no longer drive and don't have family who hold seders. The seder meal has been a great way for this couple to connect to the greater Jewish community. We're hoping to broaden this informal assistance into a larger program that can reach more people and help spread the observance of Passover. Our goal is to reach 70 people on the eastside who would not otherwise have any connection to Passover. Chabad of the Central Cascades mission is to provide an open door environment for strengthening and enhancing Jewish values and identity to all people, regardless of background, philosophy or level of commitment. This program connects with that mission directly, allowing people who wouldn't be able to celebrate the holiday of Passover. 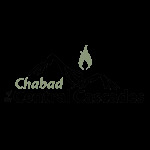 Chabad of the Central Cascades staff will contact families who might be interested in participating and sign them up. Sign up will involve getting the families, name, address and number of people. There will be no cost to sign up, though those that can make a donation will encouraged to do so. Volunteers will assemble to plan a menu, purchase food, cook and assemble boxes. Boxes will contain food, wine, information about the holiday and haggadahs. Volunteers will deliver the boxes to the signed up families. Chabad of the Central Cascades staff and/or volunteers will contact families who participated to see how the seder went, and to solicit feedback on how it could be improved. This program was made available by a generous grant from the Jewish Federation of Greater Seattle.